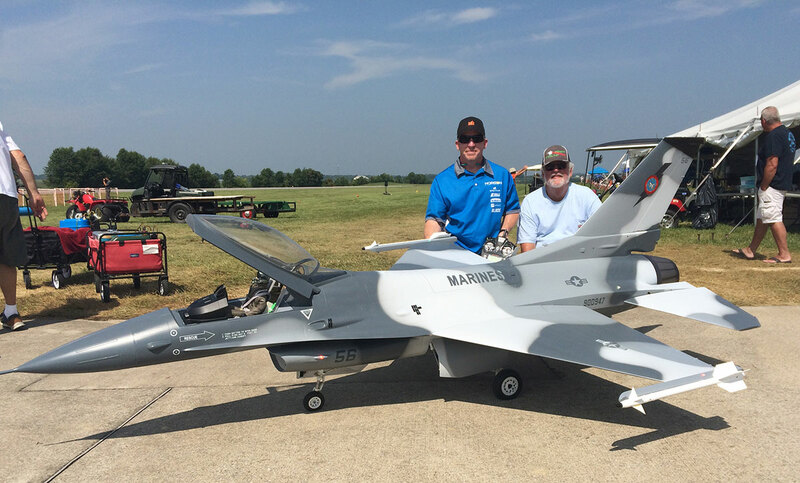 Greg Arnette and Kirby Smith were showing off the BVM PNP 1:5th scale F-16. 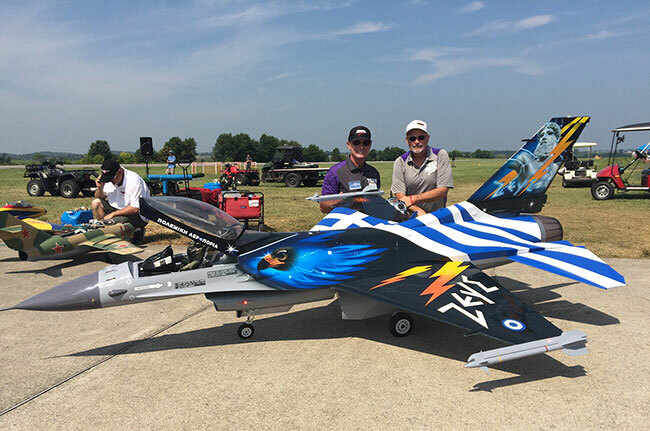 The color scheme is that of the Greek Hellenic AirForce. Hank Miklich likes challenging projects. 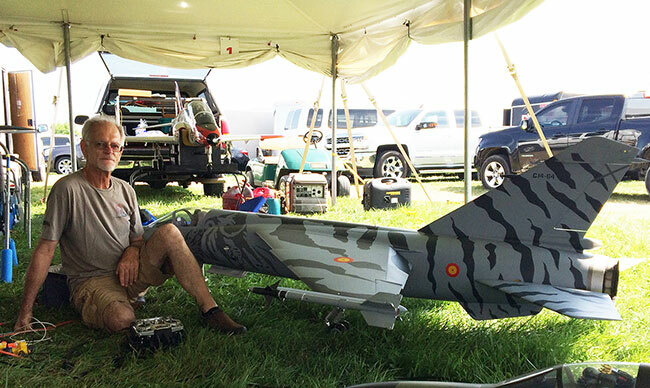 The 1:5 PNP Mirage F-1 is his latest. It is big, complex, and the landing gear are impressive. Dan Hansen, Clark Jacobsen, Karl Spurlock, and Kenney Foust campaigned the BVM F-16 1:5 scale in the easy to see Indiana National Guard scheme. 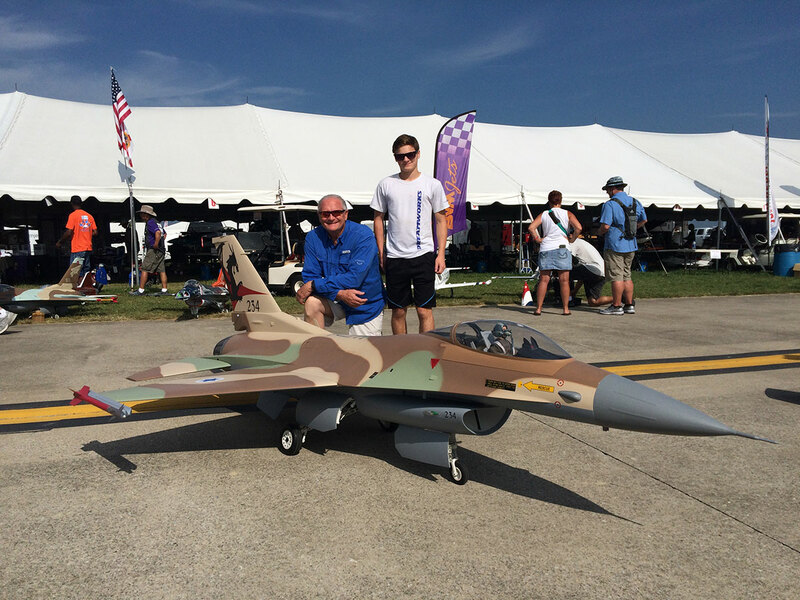 Marty McGee and grandson Javin seem quite pleased with this 1:5 F-16 in Israeli livery. 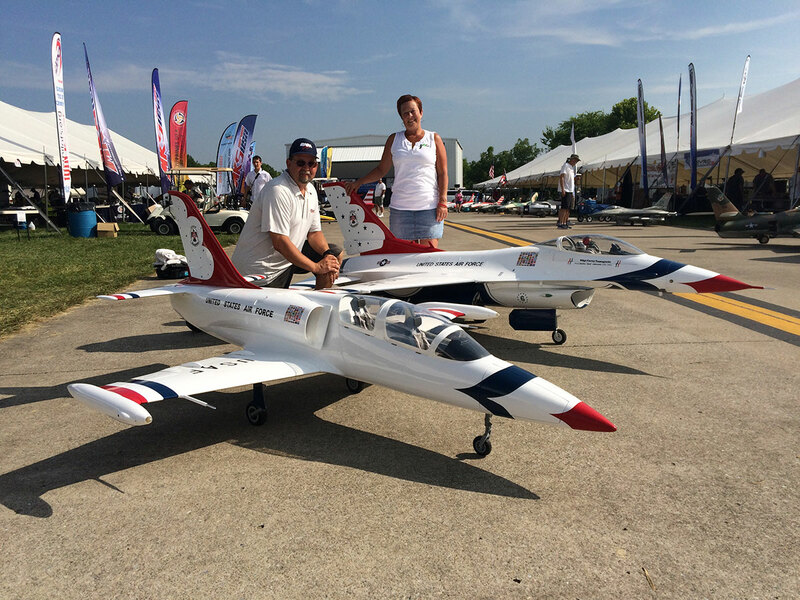 Greg and Jenni Alderman from Muncie, IN really like the ThunderBird scheme as applied to a BVM L-39 and F-16. 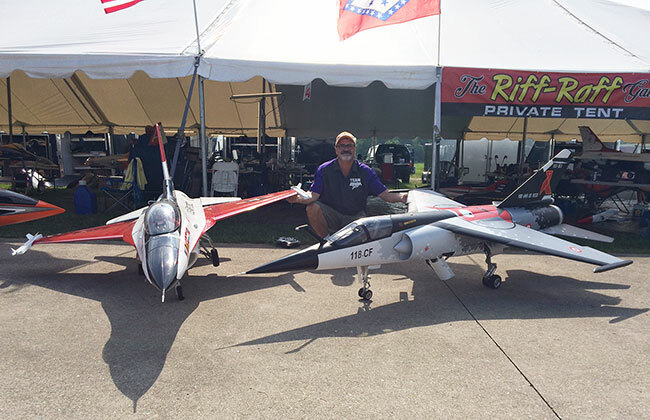 Doug Clemens traveled from Mobile, AL to enjoy his BVM PNP Cougar. Horizon's David Payne work closely with Vernon Montgomery to show off this 1:5 PNP F-16 with U.S. Marine markings. Boli Muentes is always "In-Action" with his fleet of BVM Jets. The Classic Ultra Bandit and the F-16 are two examples. Both models get lots of air time. 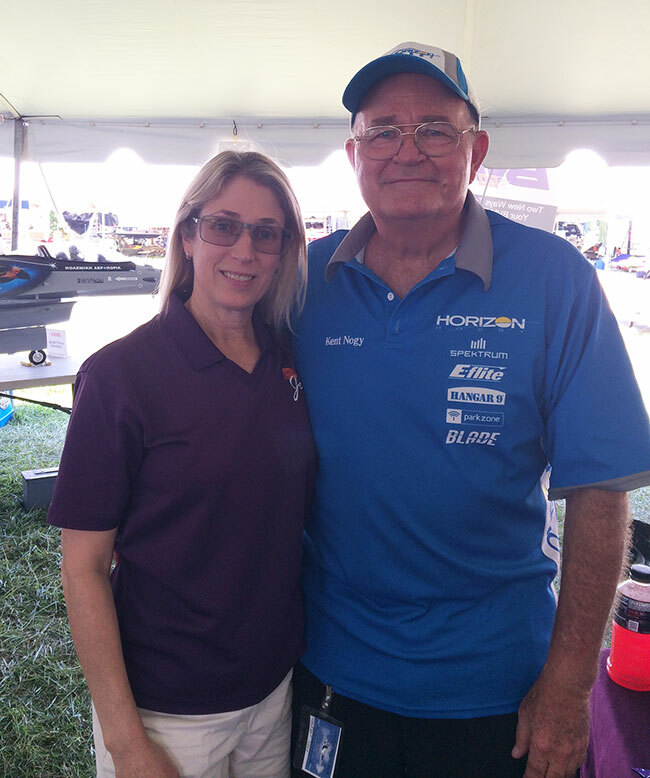 Kent Nogy visited the BVM booth to say hello to Patty. 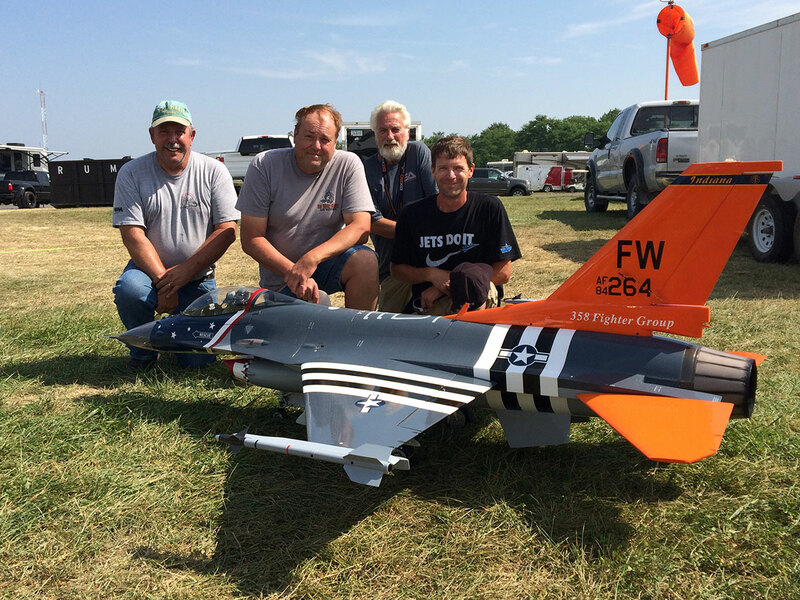 Many years of friendship and model flying give credibility to our hobby. 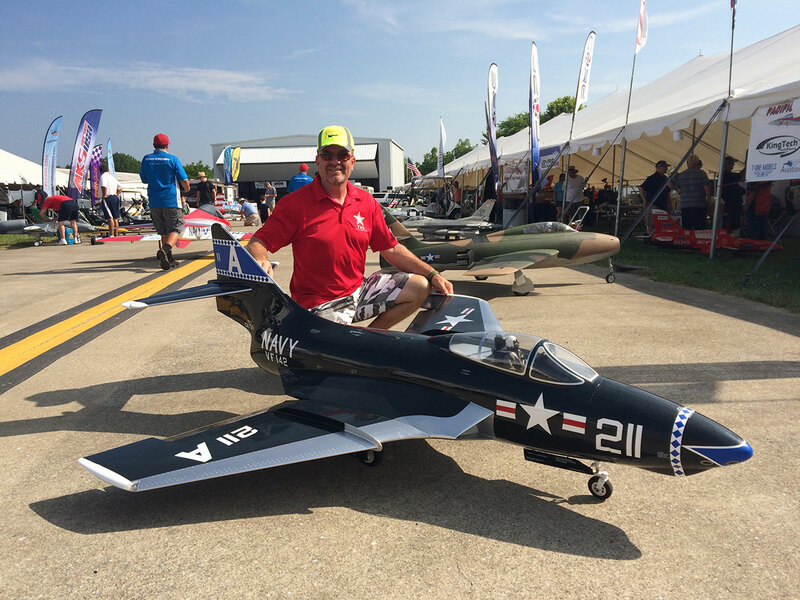 Kent is a Horizon and a BVM Rep. Ad Clark Jr., wife Jenny and children, Katie and Josh. 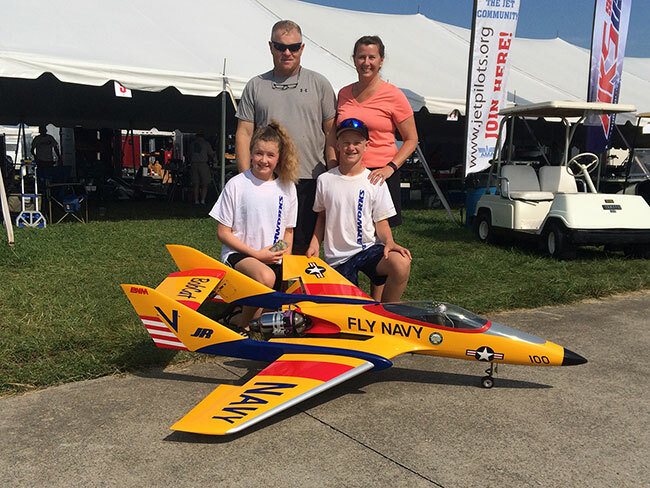 Fourteen year old Josh is quite advanced with his flying skills as he so aptly demonstrates with his JetCat powered "Fly Navy" BobCat. 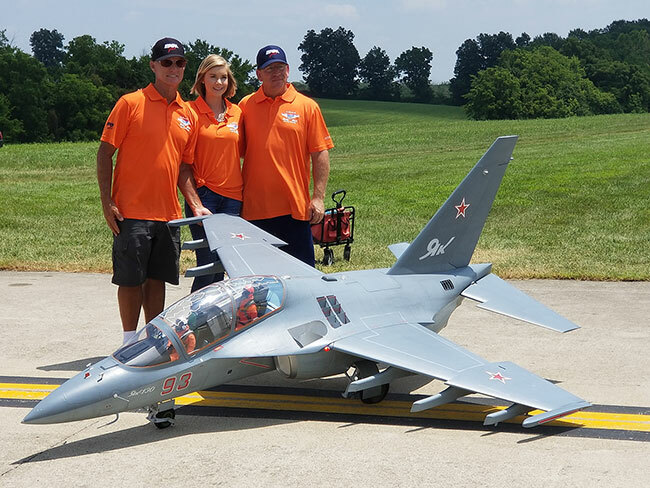 Greg and Jayme Arnette took a break from their busy schedule to smile for the camera man. 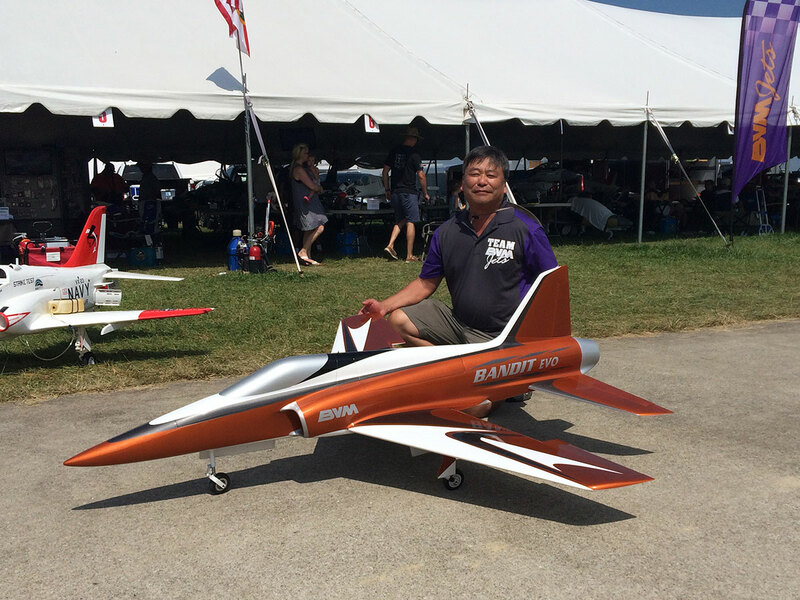 Hobby Hangar proprietor and BVM Rep. Kwang does an excellent job flying and promoting BVM products. This Bandit EVO is his latest. 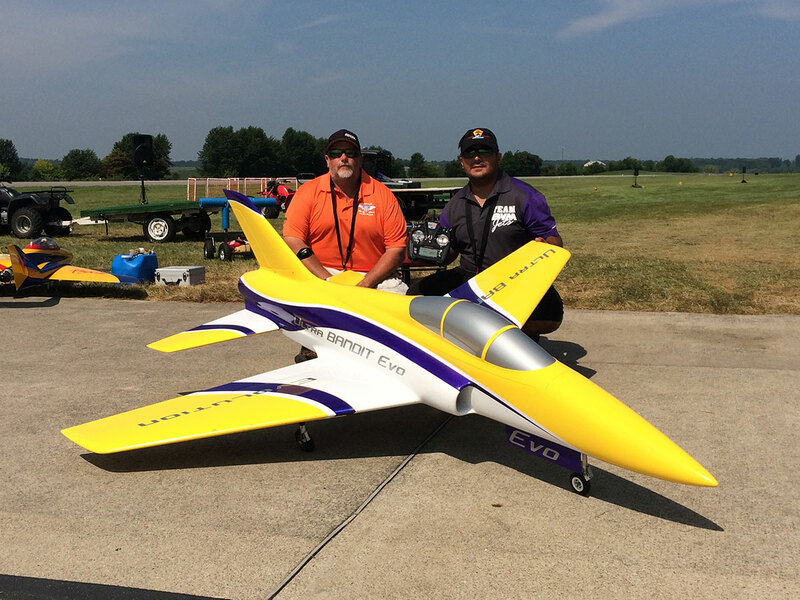 The all new PNP Ultra Bandit EVO is light, works well on 160 power and is very maneuverable. Rob Lynch and Franco DiMauro shared the "Show-off" flights. Bob Neal from Chester, VA has been working with this BVM 1:5th F-16 for about a year. He is pleased with the product. 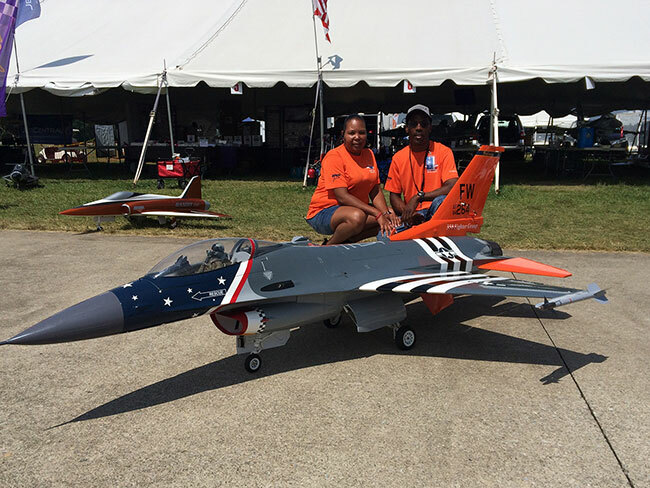 The Indiana Air National Guard scheme is alluring and very visible against any sky/cloud background. Zack and Leaquarius Stephney are the happy owners. 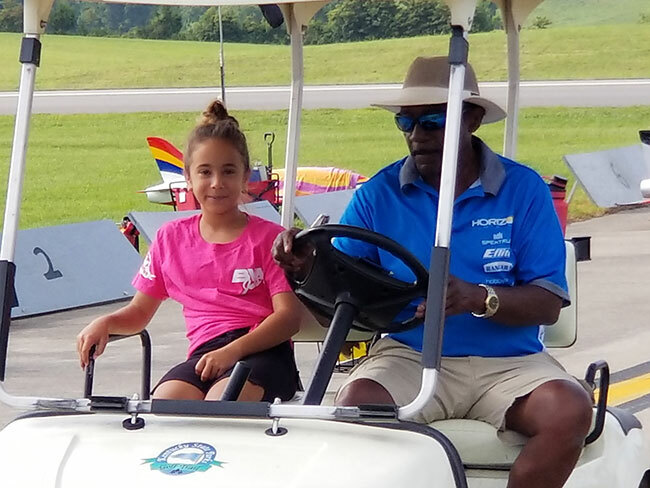 Our host, Lewis Patton is getting some golf cart handling tips from Jose Melendez's daughter Jayleigh. Lewis has developed the Kentucky Jets week into a very enjoyable and prosperous event. Andy Andrews gets a lot of mileage from his BVM 1:5 PNP F-16 and his Mirage F-1. 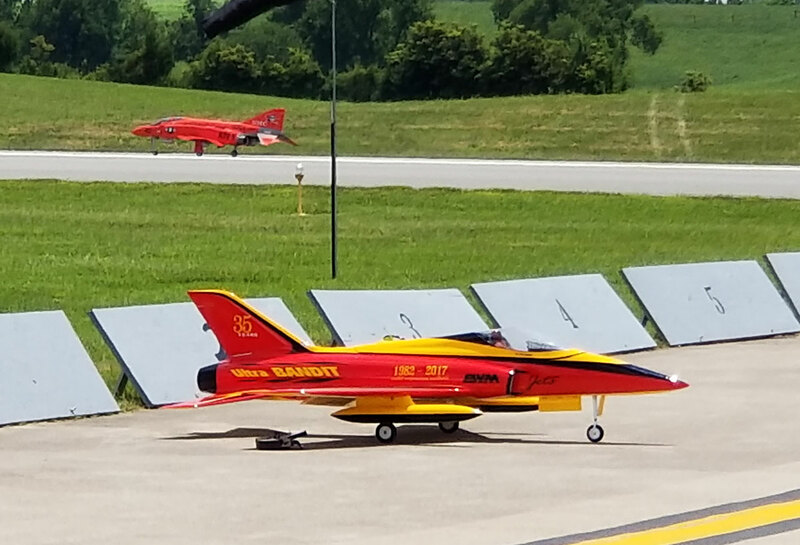 The Sabre is an early BVM kit and has traveled the world of competition. There are a number of these 1:4 scale PNP YAK-130 in operation. This one belongs to Scott Harris. 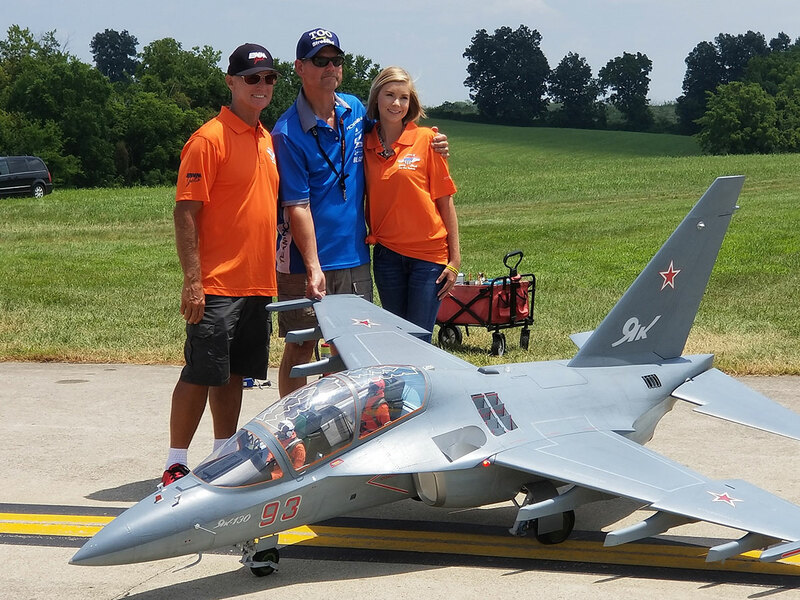 Greg and Jayme Arnette and family friend Greg Hames take a minute to pose with the YAK right after the tribute flight in honor of Randy Clark. 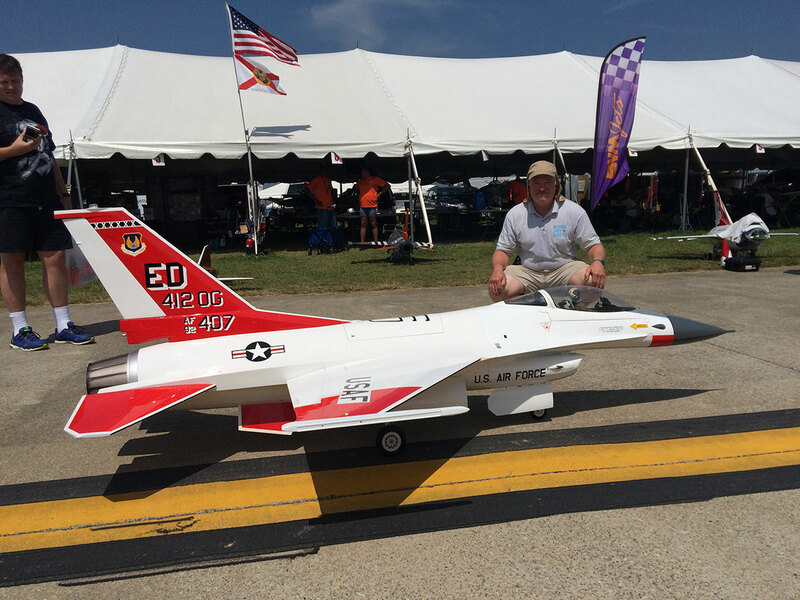 This Classic Ultra Bandit in the 35th Anniversary scheme is equipped with under wing tanks for even more visibility. 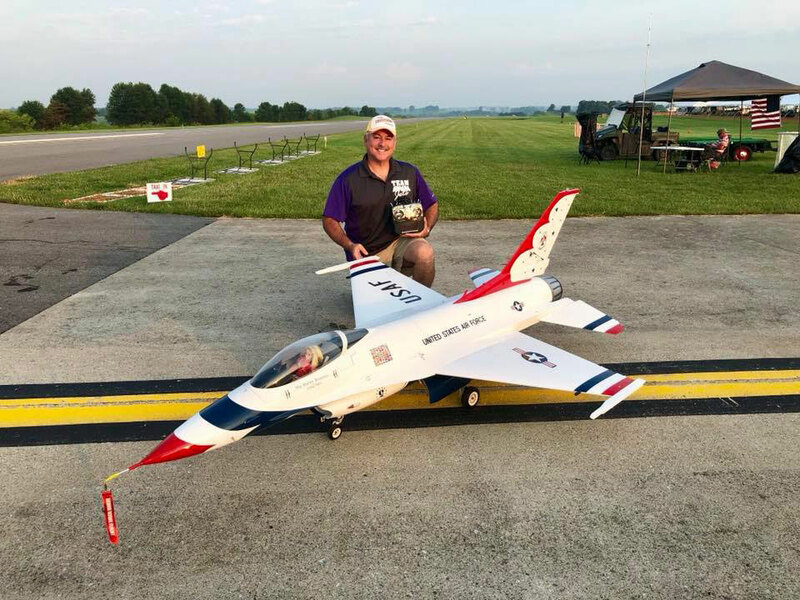 Rod Snyder from Johnson City, TN. 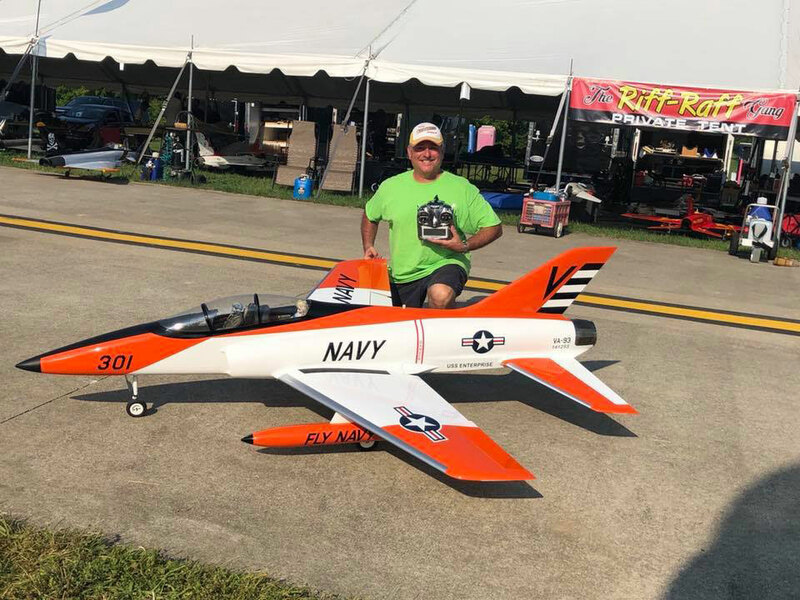 is the happy owner/pilot. 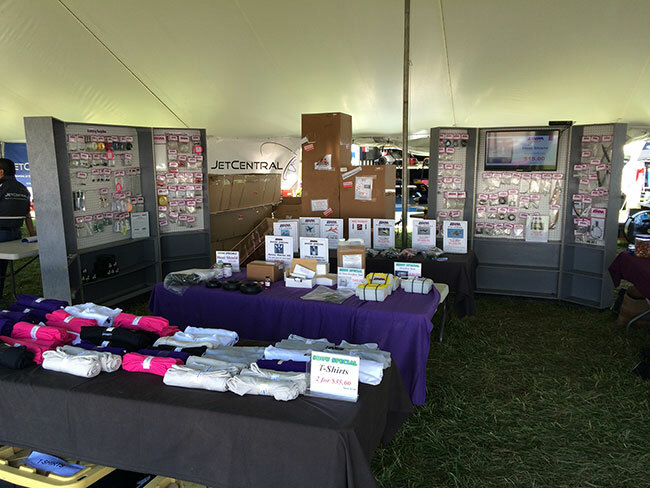 Doctor's Bret and Wenci Becker attend multiple jet events in the mid west. 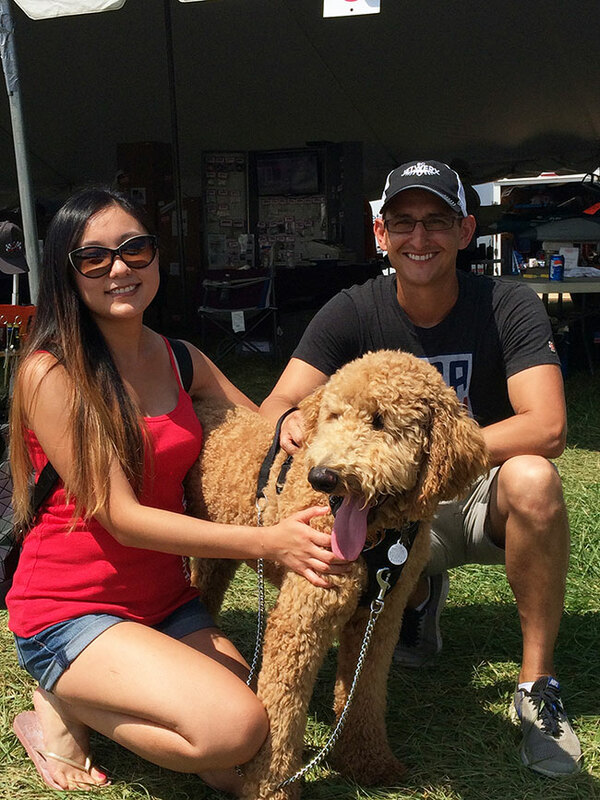 "Yeager" the family pup enriches everybody's jet experiences. 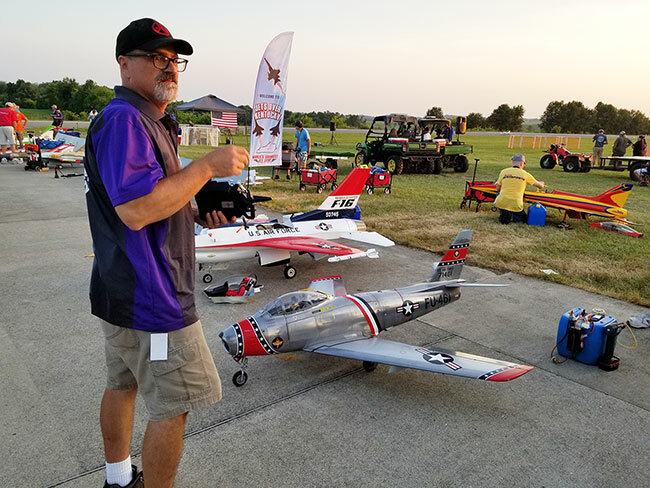 All graphics, photos, and text Copyright 2018 BVM, Inc.